Perhaps the most famous recent example of extradition was of Joaquin Guzman, aka El Chapo, from Mexico to the US, but most cases of extradition happen with much less fanfare. There are many ways extradition happens. They can be from state to state as well as international. Today, we want to talk about the basics of why a person would be extradited and what they can do to fight it. 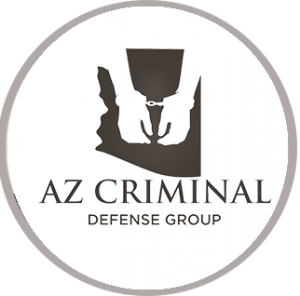 The number one thing you can do upon being arrested for a crime or if you have an outstanding warrant is contact an Arizona defense attorney who can help you through the entire process. A person can face extradition for both a misdemeanor or a felony warrant. Often, the person facing extradition has been accused of committing a crime and has fled their state to avoid arrest, making them a fugitive from justice. Other times, the person has a bench warrant out for their arrest for failing to make a scheduled court appearance. Whatever the case may be, the state in which the warrant is for will be notified that the suspect has been arrested. It is them up to that state to decide how to proceed. The other state has 90 days to come get the dependent before they will be released. Keep in mind that, it a suspect is also charged with crimes in the arresting jurisdiction, they may have to go through the court process and incarceration for those crimes first, if found guilty. That time will not erase a warrant in the other jurisdiction and extradition can happen even at the end of a sentence, however long that may be. Most countries, with a few exceptions, have extradition agreements. That means that if a person commits a crime in the US and flea to another country and is subsequently arrested, they face the possibility of extradition back to the US. The same is true when a suspected criminal is arrested in the US after committing a crime in another country. Again, the person in question may have to go to court and serve time for any crimes they may have committed before extradition. There could be a challenge on the legalities of the arrest and detention. Challenging a warrant on factual grounds through a “Writ of Habeas Corpus” will review the entire case. The identity of the person arrested could be called into question to ensure that the right person has been arrested for the outstanding warrant. In many cases, an attorney can arrange to have the suspect “self-surrender.” This would allow the arresting state to release the suspect upon an agreement they will appear in the charging state’s court at an arranged date. 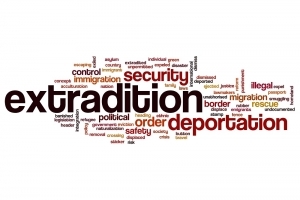 In many cases, just challenging extradition may result in them dropping the warrant, depending on how major the supposed crime is and the resources the jurisdiction has to come and get a person. Please know that warrants do not go away, regardless of time or location. It is always in a person’s best interest to take care of them when they are issued to avoid future problems. Click here for information on Arizona probation violations.